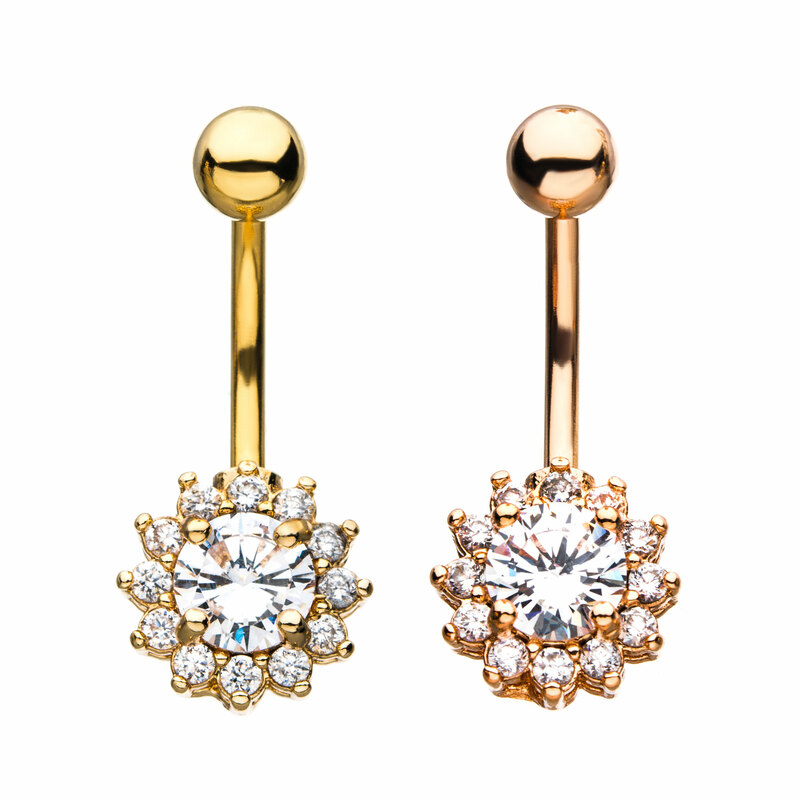 14g 7/16" Sunburst Navel Bar with a Prong Set 6mm Round CZ Middle Gem and 1.5mm surrounding Clear CZ gems on outer design. The overall design circumferance is 11mm with a 5mm Externally Threaded Top Ball. The bar and top ball are made entirely of 316L Stainless Steel. The design is Base Metal (non-wearable). Sold Individually.